Grind soaked rice,urad dal, fenugreek together,to a fine paste,add salt,enough water to make a thin batter. 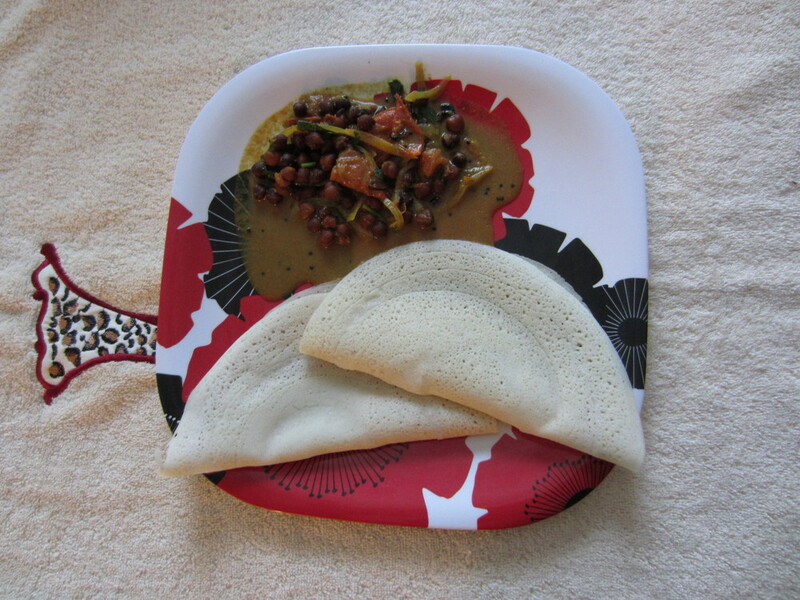 Heat a dosa griddle,pour batter on it ,spread dosa batter in a circular shape.Or tilt gridle in all directions and allow to spread thinly. Sprinkle oil on the top of it and flip the side.